Sabre Tooth Tiger cartoon | A precision killer from the Pleistocene era! This ferocious sabre tooth tiger is better known as Smilodon, who roamed the plains of America during the Pleistocene era some 10,000 years ago. Smilodon had a very robust build for a sabre tooth tiger, with particularly strong forelimbs and oversized canine teeth; perfect for a precision kill. Luckily for you, this one has already eaten – although I think he might be partial to a nice chunk of Mammoth! 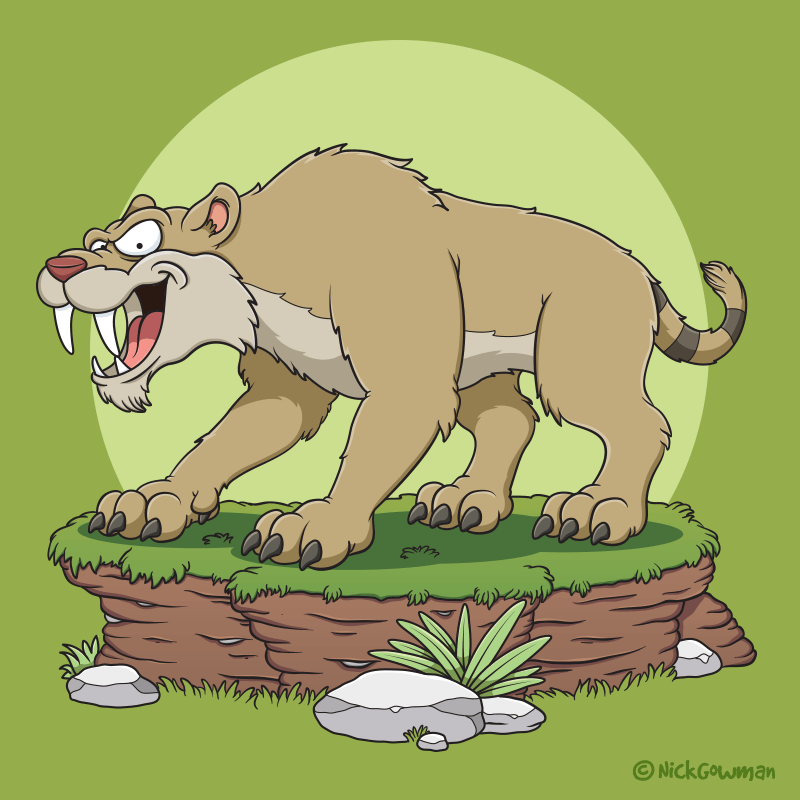 As with many of my cartoon characters, this sabre toothed beastie cartoon began as a pencil sketch. Once I had a pose and composition I was happy with, the next stage was digitisation. Outlines are created first and then base colours added. I went with similar colours to today’s big cats. I then created a little earthen mound for him to stand upon, proud as punch!